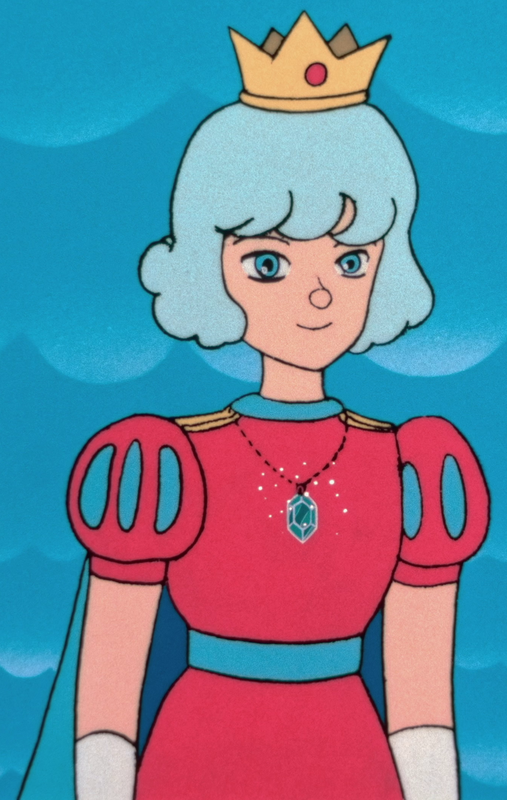 Haru-ōji (ハル王子), meaning Prince Haru, is the prince of an unseen land known as Flower-koku. He exclusively appears in the anime movie Super Mario Bros.: Peach-hime Kyushutsu Dai Sakusen!. His name, Haru, means "spring" in Japanese. 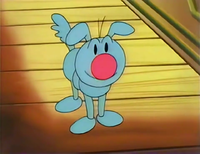 He first appears in the beginning of the movie as a teal dog (capable of limited speech) named Kibidango (キビダンゴ), named after a type of Japanese millet dumpling). He shows up inside the grocery shortly after Miss Endless leaves, sent by Kinoko Sennin after Mario called the author of Luigi's treasure-hunting book for more information on their gemstone. However, he mauls Mario and takes it. Mario, not wishing to part with the last remnant of his love Princess Peach, and Luigi, not wanting to lose their ticket to the Mushroom Kingdom, chase after Kibidango, following him into some seemingly ordinary pipes. These pipes, though, turn out to be Warp Pipes, and they transport Mario, Luigi, and Kibidango to the Mushroom Kingdom. Once the three reach a cave in the far-off kingdom, Kibidango rushes behind Kinoko Sennin for protection. Mario and Luigi then learn what King Koopa did to Peach and the Mushroom Kingdom's inhabitants from the hermit, and the brothers eventually decide to embark to the castle and save the princess and her kingdom. After some persuasion from Kinoko Sennin, Kibidango joins the brothers on their quest, occasionally offering help and advice to the adventuring pair (and actually pulling his weight in adventuring more than even Luigi, who was depicted in the anime as very greedy and somewhat unreliable). By the end of the film, Mario and Luigi defeat King Koopa and rescue the princess. The two also lift all of King Koopa's curses on the Mushroom Kingdom. When Mario returns the gemstone, Peach explains that it is the Brooch she grew up and knows of a legend that the owner of the second, nearly identical Brooch is a prince that will sweep her off her feet. Immediately afterwards, both Peach's Brooch and Kibidango shine, and Kibidango becomes a human named Haru. He explains that he was turned into a dog by King Koopa when he ventured to the Mushroom Kingdom to find his significant other (much to Mario's dismay). Shortly afterwards, Peach understands that the two must return to the shop and thanks them for all they've done, and they reply that they will happily come back to the rescue should the need arise. As they leave the prince and princess to their happily ever after, Haru reaffirms his gratitude. This page was last edited on April 8, 2018, at 11:16.